Pyengana is a tiny town inland (by 26 km) from St. Helens. The two major attractions are Healey's Cheese Factory and the St. Columba Falls. Backpacker accommodation is available at the only hotel, from where the falls are a 6 km walk. 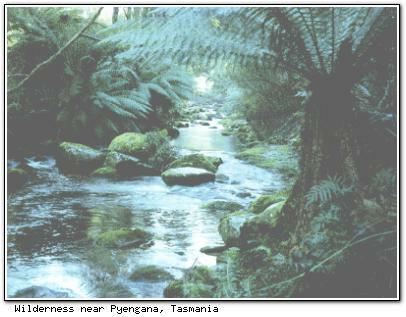 The Tasmanian Tiger, believed by most to be extinct, was reportedly sighted by a national parks ranger in the Pyengana region in January 1995.